Khao Soi is a curry and noodle soup from the north of Thailand. It’s a dish with Burmese influences. Bangkok have a few vendors selling this dish, often with other northern Thai-style dishes on the menu. Only few of them are any good in comparison with resto’s up north, but Khao Soi Chiang Mai in the Dusit area (just north of Banglamphu) is one of the best. If you haven’t tasted Khao Soi, you have really missed something. It comes in different version, but the northern Thai style khao soi is a “soup-like” dish traditionally made with a mix of deep-fried crispy egg noodles and fresh egg noodles, together with some kind of protein, normally chicken or beef. 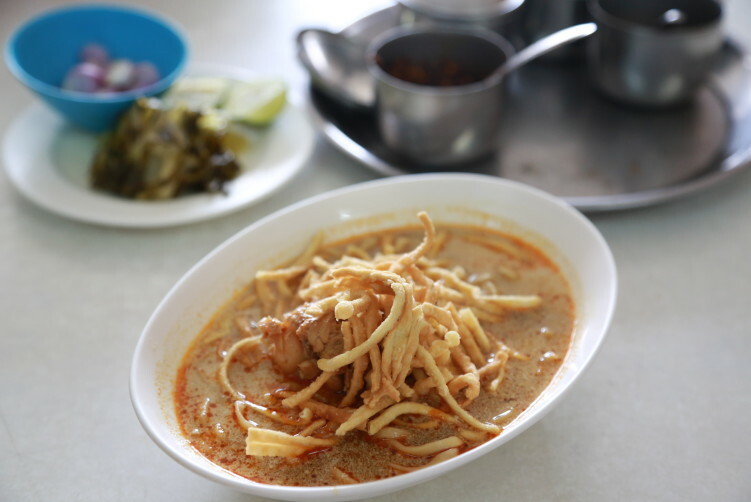 A bowl of Khao Soi bear some similarities with both yellow curry and massaman curry, but is also vert different. It also has a more soup-like texture. 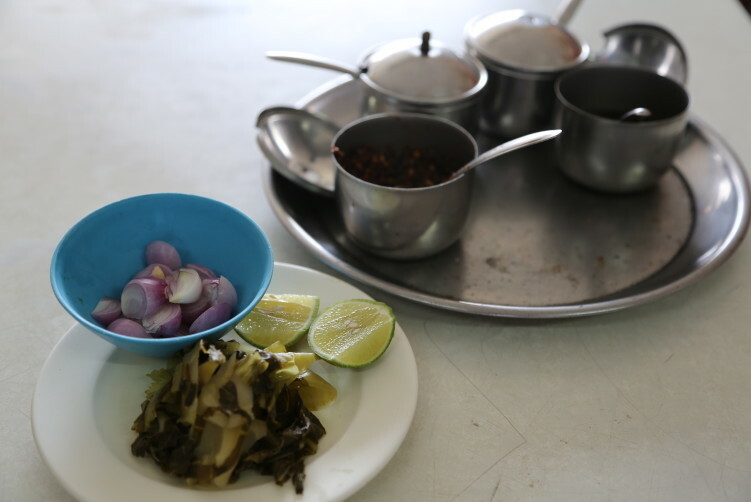 Some tongues points to Chinese Muslim cuisine as an influence, but it definitively has a Burmese inspiration as well. Anyway, I love this dish when properly made, and Khao Soi Chiang Mai is doing it properly, even if it tastes slightly different from the best spots up north. The curry is not a spicy and creamy curry like most Thai curries. It’s a meat-based broth mixed with coconut cream, making it both different in flavor and texture. Be aware that a bit of seasoning is required when prepared this way, but when done well, you’re in for an absolute pleasant journey. The mildness is there by purpose as people have different perceptions for taste and spiciness. The different condiments on the table are your tools to adjust to your tastebuds. At Khao Soi Chiang Mai they use mostly fried noodles, but that’s fine with me. And the noodles are, I almost said of course, made in-house. The boiled egg noodles are smooth and dense in texture, suitable to soak up some of the soup. Most times I choose the chicken to beef as I find chicken superior to beef in most curries. You’re served lime, sliced charlottes and an absolute wonderful pickled cabbage on the side. It’s actually worth going her just for the pickled cabbage. Don’t let me forget to mention that the chicken leg was really tender and full of flavor. Others have pointed out that the easiest way to describe this dish is probably as a noodle version of chicken biryani. I wouldn’t go that far, as I see the khao soi more as a unique dish, but I see the point of doing it. It’s a dish you most likely won’t find abroad, so being in Bangkok, you have a good opportunity to test it out. Of course, unless you are going up north. Be aware that you should go for spots using chicken legs and not pieces of the chicken breast, as they do at Khao Soi Chiang Mai. They have their roots in Chiang Mai but they came to Bangkok 50 years ago, where they started to make northern style Thai food, inducing the khao soi. Khao Soi Chiang Mai is a friendly and relaxed place. 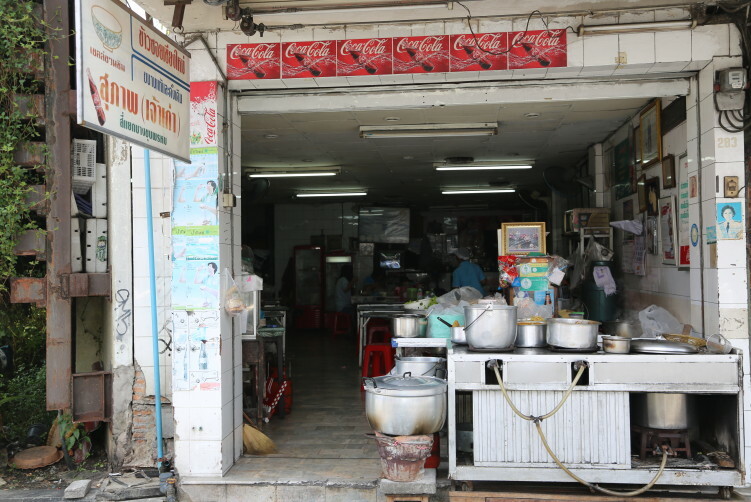 As with most shop house vendors in Bangkok, the interior is not an issue given to much attention. For me that is absolutely fine. I’m just here for a bowl of delicious lunch and a 20 minutes break. The level of English is limited, so to pronounce khao so gai (chicken) or khao soi nuea (beef) will get you a bowl quicker. They have the Shell Shuan Shim award as a proof for quality. 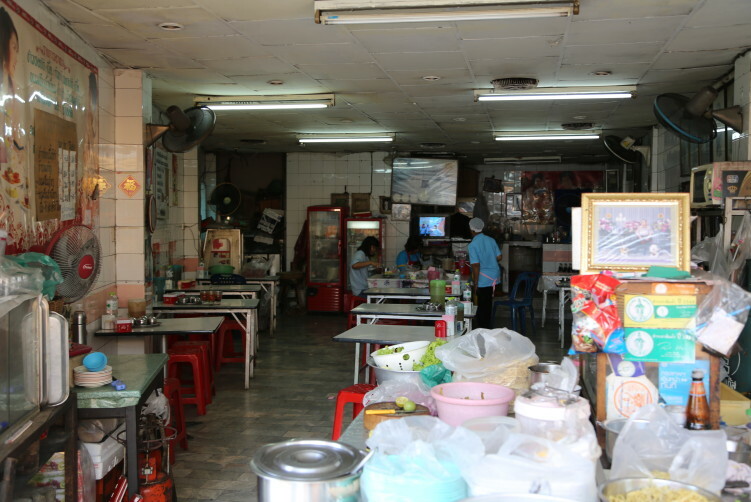 Another spot for a wonderful bowl of khao soi in Bangkok is Hom Duan in the Ekkamai area, a very different area of Bangkok, but much more accessible if you stay close to the BTS. 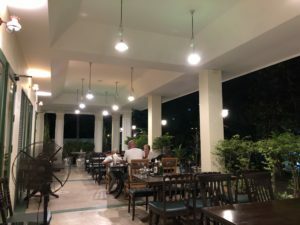 https://mysonginthenight.com/songwriting/ Food: Northern Thai food, including the khao so (curry and noodle soup). They also do a few other Thai-Muslim dishes including chicken biryani (khao man gai) and chicken satay’s. It’s not a Muslim vendor as they serve khanom jeen nam ngiaw which is thin rice noodles with a pork and tomato based sauce, which I haven’t tasted. read more Address: 283 Th Samsen, Dusit district. How to get there: A bit away from Phra Athit road. Taxi or walking. An option is boat taxi to Rama VIII Road and walk from there. A northern Thai style khao soi is a "soup-like" dish made with a mix of deep-fried egg noodles and boiled egg noodles, and a protein. See full review at StreetsideBangkok. I haven’t notice any big difference myself, but day to day differences might occure with many vendors. I will go back to check in the comming weeks. Appreciate your comment, always good to have feedback as things might change quickly these days and as I will make an article on the best khao soi spots next month. Don’t hesitate to throw in some tips on vendors i should test out. I went there a couple times over the last few years, during my vacation. I may be wrong, but I found the khao soi a tad on the bland side this year. It’s still good, and cheap, so no complain there; but I thought it was better before.